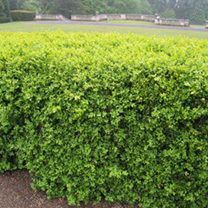 "The Box hedge plant (Buxus Sempervirens) is the most popular species for luxury low hedging. 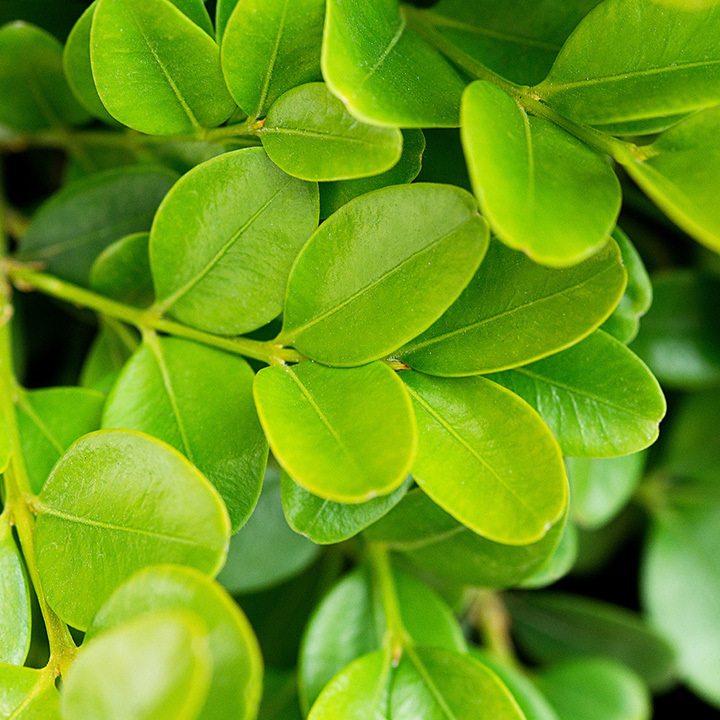 This evergreen hedging plant is perfect for hedges from 50cm up to 1.5m and is ideal for topiary. 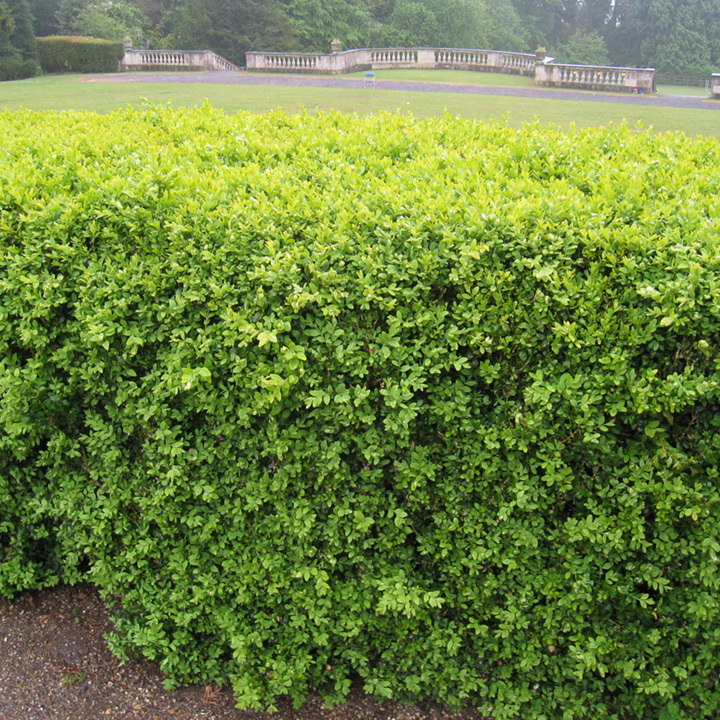 Box hedging plants have very small, dark green leaves so they're easy to clip into a formal, neat shape and because Box plants are slow growing, you don't have to clip too often - once a year is adequate - or twice if you're really neat! Box hedge plants are surprisingly tough, standing up to almost all soil types, shade and drought, these bushy hedging plants lend themselves to edging pathways, formal hedges and decorative knotted hedge gardens." Available in packs of 25 or 50 bare roots and grows 10-20cm per year. Bare Root hedging plants are a great, cost-effective way for you to achieve your hedging goals. They are grown in an open environment, exposed to natural conditions, which allows these plants to develop with no restrictions. When opting for this root type, you will receive well established plants with sturdy root systems as a result of their growing method. Given the way in which they are grown, bare rooted plants are available from November until May as this is the time of year when the plants are dormant and can be safely lifted from the field. This category mostly consists of native, deciduous hedging species which many of them flower and/or berry so they make great hedges for wildlife and provide seasonal interest. On receipt of your plants remove them from the packaging immediately, and water if necessary. PLANTING - Prior to planting the trees and shrubs, dig over the area to two spades depth and incorporate a generous amount of garden compost or well-rotted manure. A dressing of bonemeal can also be applied at a rate of 105-140grms per sq.m (3-4 oz per sq yd). Dig out the hole about 15cm (6") wider than the root-ball and deep enough so that its top is just below the soil surface. Gently tease out some of the roots from around the root-ball to encourage new root growth to spread out into the surrounding soil. Fill in the hole around the plant gently firming the soil as you go. Water the plant to settle the soil around the roots. Ideal for beds and borders. Grows well in sun or shade. Because bare roots are generally deciduous (the bare roots in the attached photos are mostly evergreen), they tend to look disappointingly bare (except for Box, Yew and Cherry Laurel). However what you are buying is a strong capillary root system with a certain amount of stem and side branches depending on the age of the plant. The younger the plant, the shorter they tend to be. There is a certain failure rate due to the delicate nature of these plants - approximately 10% - although you can improve the success rate through a careful planting and watering regime. Smaller plants tend to establish more easily. Bare roots need to be planted almost immediately to prevent the root systems drying out and to ensure that they establish strongly whilst dormant. However if this is not possible then they can either be kept in a sheltered spot for a few days to avoid drying out by the wind. If planting cannot be done for several days then the plants can be "heeled in", in which case they'll be fine if kept watered, until early spring. All planting must be done whilst the plants are dormant.